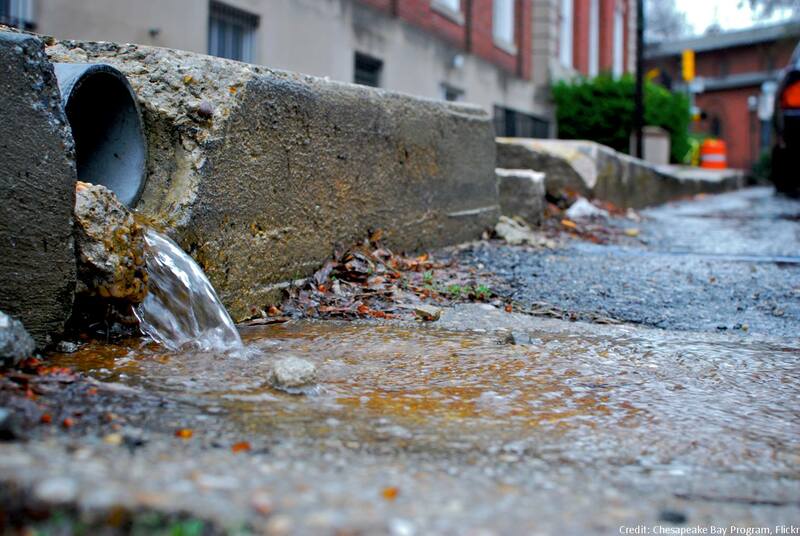 Consider using EPA certified “watersense” fixtures, which can save water and money. 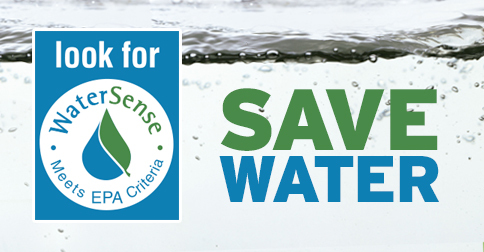 Visit http://www.epa.gov/watersense/ to learn more. Don’t leave the water running while brushing your teeth, only run the washer and dishwasher when they are full; and try to take shorter showers. Cut your grass high at three inches to ward off invasive plants, build stronger root systems, and require less water. If you must water your lawn, do so in the early morning or evening when water evaporates less quickly. 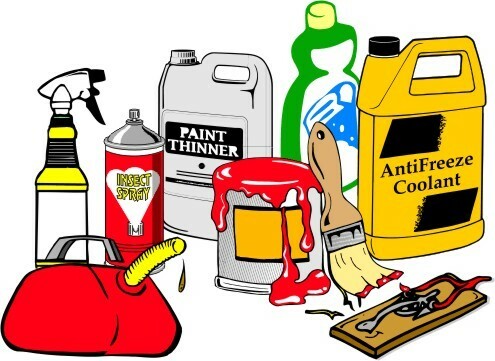 Avoid using pesticides, fertilizers, toxic cleaning fluids and other chemical products around the house. These products can be harmful to humans, pets and wildlife and are already showing up in our water supply. If you must use these products, try using alternative/biodegradable pest control products that are less harmful to the environment, and slow-release fertilizers, which require less regular use and provide nutrients more effectively to plantings. Never discard harmful household chemicals (degreasers, paint thinners, oils, stain removers, oven cleaners, mold removers) or unused pharmaceuticals by putting them down the drain or into storm drains. Call the local recycling center to learn more about proper disposal of toxic chemicals or unwanted pharmaceuticals in your community. Locate and have your septic system inspected annually by a licensed septic waste hauler and pumped at least every 2-3 years (or more as needed). Replace failing cesspools, and old, buried heating oil tanks. Fix any fuel or fluid leaks from your car and don’t wash hazardous materials off your driveway into the road or storm drains. Clean gutters regularly and direct them to drywells or vegetated areas, never onto paved surfaces. Keep storm drains cleared of trash and debris. If you notice any problems with your local drain, report it to your town or village. Pick up after your pets! Bacterial contamination from pet waste can pose a threat to human health and our local waterways. Visit us at LongIslandCleanWaterPartnership.org to help our efforts. “Like” us at Facebook.com/CleanWaterPartnership to spread the word. “Follow” us on Twitter @LICleanH2O. Encourage your family and friends to take these personal actions to help clean up Long Island’s water. 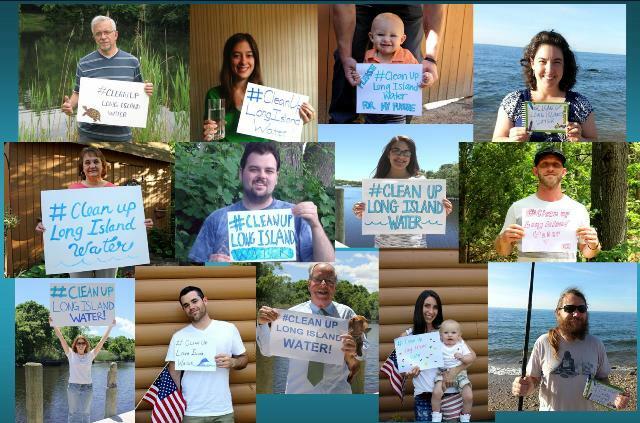 Tell your elected officials that clean water must be a top priority across Long Island.